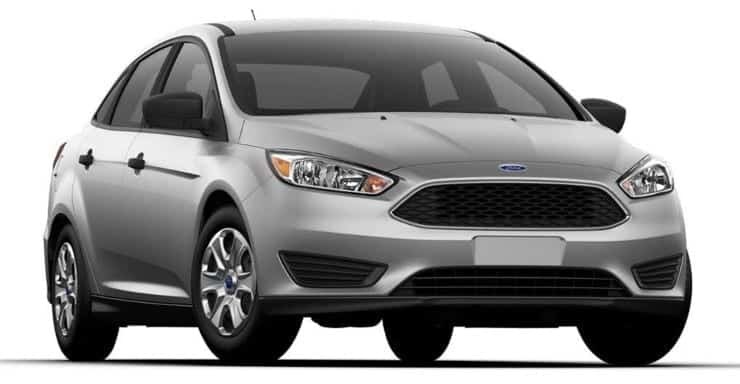 If the Tire Pressure Monitoring System (TPMS) is not working on your Ford Focus, you may have to retrain or reset it using these steps. Inflate all tires to the recommended psi. Usually it’s 40 psi. That includes your spare. Turn ignition to the “ON” position. If you have a push button start, push the “Start” button. Push the hazard light button 6 times within a 5 second interval. If done correctly, you’ll hear the horn honk once. The screen on your console will display the message “Train left front tire“. Exit the vehicle and let air out of the left-front tire until you hear the horn honk once. Release air from the front-right tire until the horn beeps. Release air from the back-right tire until the horn beeps. Release air from the back-left tire until the horn beeps. If all steps are done properly, the message “Training Complete” will be shown on the console screen. Inflate all tires back up to the recommended pressure. These steps should work on the 2011, 2012, 2013, 2014, 2015, 2016, 2017 and 2018 models. Some models may require you to use a TPMS Reset Tool. In that case, use these steps. With the vehicle parked and the engine off, press and release the Brake pedal. Turn the ignition from “OFF” the “ON” position three times. Button or smartkey ignition models will require you to press the button once to turn it on, again to go from “OFF” to “ACC“. Do this a total of 3 times. Do not start the engine. Press the Brake pedal down for 2 seconds. Switch the ignition back to “OFF“. If all steps above were done correctly, the horn will briefly honk. Place the TPMS Reset Tool on the left-front tire wall near the air stem and activate it until the horn sounds. Place the TPMS Reset Tool on the right-front tire wall near the air stem and activate it until the horn sounds. Place the TPMS Reset Tool on the right-back front tire wall near the air stem and activate it until the horn sounds. Place the TPMS Reset Tool on the left-back tire wall near the air stem and activate it until the horn sounds. That’s it. Hopefully, all worked well for you. Is this what ido when the tpms goes off? ?